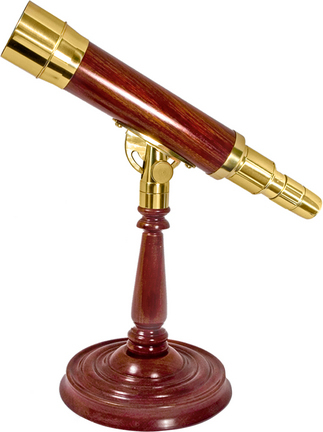 You found Classic Connoisseur Collection 6x30 Spyscope with Mahogany Desktop Pedestal in category Birding and subcategory Other Sports. If you need to buy more Other Sports than you are on the righ place. There is nothing that expresses classic elegance and traditional sophistication more than brass. BARSKA's Classic Connoisseur Collection is in a class by itself. 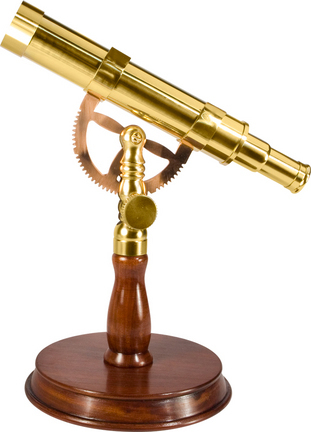 These precision-made, high quality brass optics products make a stunning addition to any decor and are as functional to use as they are beautiful to look at.Precision crafted brass spyscope with high power collapsible focusing eyepiece. Includes leatherette case.